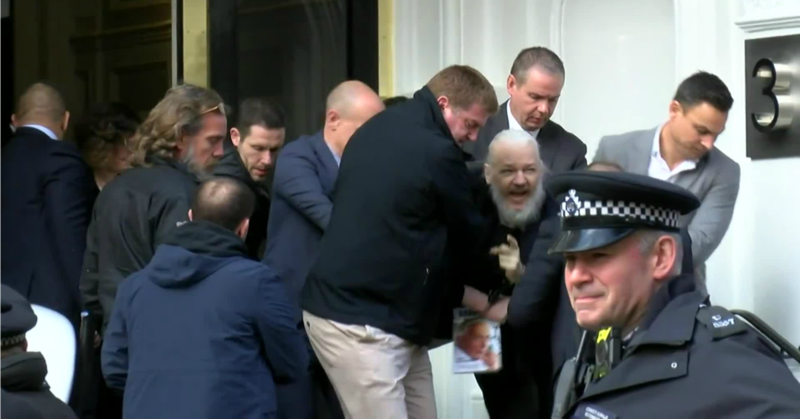 In a move orchestrated by the United States and their pupett, Ecuador, Assange was hauled out of the Ecuadorian embassy in the early hours of this morning. Manufactured charges were delivered and the right-wing UK government obeyed orders, throwing him into a police van and carting him off to jail. Not content with Facebook’s and Twitter’s enforcement of censorship, the deep state is determined to keep its dirty secrets hidden from public view. The US Empire is getting more and more desperate – but all their ploys manage to backfire.